If you’re reading this, then you’re thinking about taking the GRE without studying. In fact, you’re thinking twice about it—as you should be. Going in ‘cold’ could make you less likely to earn your best score and, thus, more likely to limit the schools that will accept you—or else more likely to study (finally), retake the exam, and raise your score before applying (deadlines permitting). Still tempted to skip the prep and just take the test? Keep reading. Taking the GRE isn’t cheap. The cost to register for the GRE just rose to $205. (For comparison, the last time you paid to take an admissions exam it was probably the SAT or the ACT; either of those will run you at most $55.) What’s more, if you can’t schedule the test at a convenient time or location, you may face significant travel costs or, if you have to skip work, lost wages. But suppose none of that worries you. Perhaps you’re near a testing center with lots of openings and you qualify for a 50% reduced fee. Maybe you’ve looked at the price of some GRE prep courses and you figure a dry run at the exam will cost you less and benefit you more. You’ll get the experience of taking the test and, if needed, can retake it and use ScoreSelect—ETS’s “pick which scores you report” service—to hide your first attempt from schools. 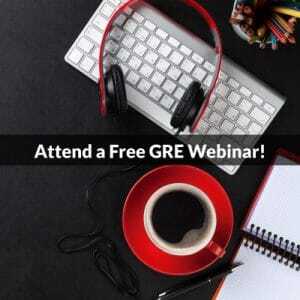 Preparing for the GRE can be done on a small budget and a tight schedule. You don’t need much money or time to expand your prep beyond ETS’ practice software. Some self-study books, including ones from ETS, come with a price tag that’s only one-tenth of the exam’s. And while some courses cost 6 to 7 times what the test does and require you to attend classes over several weeks, others cost less than half that much and span just a single weekend. Still, you might wonder why you should spend any time or money on GRE prep. Don’t at least some people do well on the exam without studying? Perhaps those with high GPAs in high school and college? After all, isn’t the exam just high school math and college-level reading and writing? Earning a standout score on the GRE isn’t easy. About half of test takers get an average score or lower. Section by section, the averages are 152Q, 150V, and ~3.5AW. Want to be solidly above average (or, in technical terms, at least 1 standard deviation above the mean)? You’ll have to outscore 80% of test takers. That means earning at least 161Q, 158V, and 4.5AW. Most examinees who pull ahead of the pack have to study, just like most students who rise to the top of the class. Speaking of academic achievement, a strong GPA doesn’t guarantee a solid GRE score. The GRE isn’t a high school math test, nor is it a run-of-the-mill college reading or writing assignment. It’s a measure of high-level skills such as critical thinking and quantitative problem solving. You’ve been cultivating these skills throughout your education, though you’ve likely received little direct instruction in them. 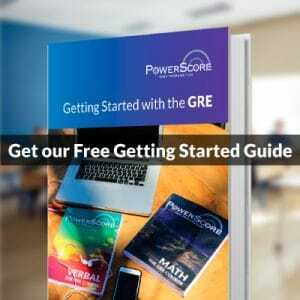 You definitely haven’t had any classes that taught you the standard ways the GRE tests those skills. Preparing for the GRE means ensuring you know how to apply yourself on test day. Just as an athlete has to train to win, you have to study to excel. Don’t risk wasting your time and money on a score that isn’t your best. Go into the GRE prepared.